Well due a comeback following last March’s brief promotions for 4th mini-album Sherlock, SHINee is back in Korea with not one, but two albums. The announcement of a two-volume release was the double cherry atop a very full promotional schedule: variety shows, photoshoots, interviews and two showcases. 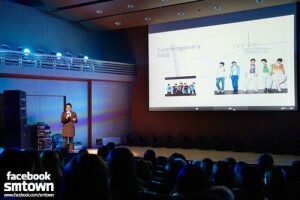 And in another surprise move by SHINee’s management, SM also teamed up with LOEN Entertainment to produce an adorable Coming Soon Interview as well as provide partial coverage of the SHINee Music Spoiler industry showcase. And for what were all these various efforts made? SHINee’s 3rd full length studio album, Dream Girl. This double album is being released in two “chapters:” the second chapter, titled The Misconceptions of Me, is due for release in April, while last week saw the revealing of Chapter 1: The Misconceptions of You, a distinct move away from the group’s R&B roots and into electro-drenched dance pop with a funk influence. 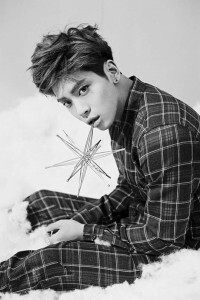 The Jonghyun-penned “Spoiler” is a sinister introduction to the album; this kind of boasting is standard fare for SHINee, but the integration of Dream Girl track titles into the lyrics hark back to “The SHINee World (Doo Bop).” “Spoiler,” disappointingly, takes itself too seriously after their bit of trolling at the start — which they, ironically, spoiled with the album medley — so there are no new “Dibidibis my name is Minho“s to be found; nonetheless, it does its job in introducing the overall sound for Chapter 1 and setting the tone for this half of the double album. “Dream Girl” has a fuller sound, featuring electric guitars among various other synths. I enjoy “Dream Girl,” especially the second verse; but at the same time I can appreciate the complaints people have with this song. There is a lot going on in the instrumentation, which lends the song a busier sound that diminishes its impact. Compared to earlier singles, especially “Sherlock,” “Dream Girl” lacks a certain vigour to it; the latter is less “shouty,” but compared to the song that is still being referenced almost year after its release, it is not a particular stand-out. “Dream Girl” as a package is great and SHINee do execute it well, but there are better songs on this album. “Hitchhiking” is one such song — until it hits the rap section. “Hitchhiking” is similar in sound to “Sherlock,” albeit increasingly aggressive and featuring a more prominent instrumental in the verses. The members go all-out with the vocals and the hard-hitting chorus is fantastic with its drop in pitch for the line “Hitchhiking, baby…” but then the music just stops. It breaks the flow of what was until that point a perfectly fine song for a boring rap break. It’s awkwardly placed and difficult to recover from, even with Onew crooning “Let’s go back to the time” — no, Onew, it’s too late to go back from this, sorry; though the final chorus goes a fair way to remedying this mistake. Really, that is a great chorus. We get a change of pace with “Punch Drunk Love;” it’s sounds rather ’90s. Guitars feature again, but it is pretty much standard fare save for all the awesome from the bridge onwards which all but KO’d me, the runs and key changes were great, as was the a capella ending. Listening to the album medley, I was certain that “Girls Girls Girls” would end up as my least favourite song; however Onew effortlessly leads the listener into that easy-to-sing chorus and I find myself meekly following. 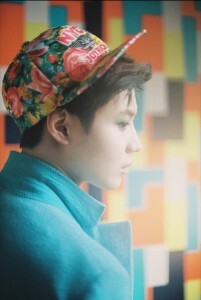 An aegyo song through and through, maknae Taemin asks for advice on impressing girls from his hyungs. What follows is an ridiculous assortment of factoids about voice modulation, eye smiles, height and “prêt-à-porter:” Key‘s line alone makes this song guilty pleasure territory. It’s cute, silly fun, but our rappers fortunately decide to make up for “Hitchhiking” and provide something a tad closer to wisdom, if generic. Instead, “Aside” gains the distinction of least favourite track. The members sound great and there is nothing terribly wrong with “Aside,” but it has a tired retro sound that is at odds with the rest of the album. Luckily the album next gives two of the best songs on the album. “Beautiful” is just as its name states; the vocals are gorgeously soft and glide smoothly atop the instrumental without sinking into it, something which is a constant worry in “Dream Girl.” Even the usually typical dance music in “Beautiful” is lifted by the members’ vocals, and the rap doesn’t interrupt the song’s flow. This has to be my favourite song on the album, hands down. “Dynamite” sounded great in the album medley, and it stays that way in full form. This is a very “shouty” song, and is more aggressive than “Hitchhiking.” There are bursts of trumpet-like synths, yet another callback to Sherlock, and the explosion sound effects that can be heard in the chorus are a nice touch. The sparse low pitch synths in the instrumental allow SHINee’s vocals to stand out more, and the well-utilised gaps in the instrumental are very welcome.The only sore points would be the messy beginning to the rap and the nondescript chorus. Finale “Runaway” has fantastic verses with a very minimalistic instrumentation, and while it segues naturally into the pre-chorus and chorus, there is no denying that the chorus is ridiculously cheesy, moreso than in “Dream Girl.” As great as the rest of the song is, there is an infuriating mismatch between it and the chorus. There are two big changes with SHINee for this album: the electro sound that permeates everything and the greater number of singing lines for the maknaes. Taemin’s Jaejoong-like vocals have improved to the point where he’s now sharing adlibs and high notes; and while some are taken aback by the increase in Taemin in SHINee songs, the current level of distribution seems fair. Minho’s voice, meanwhile, isn’t the most stable: it’s a bit reedy and has every potential to become nasally — but that hasn’t happened yet, fortunately. And while I can’t see Minho being allowed to sing in a more natural register in the future, experimenting with it could potentially open up new opportunities for SHINee’s music. The biggest flaw in The Misconceptions of You is the double similarity in sound and theme. 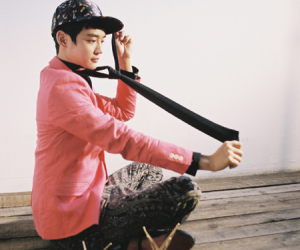 The lyrics in this album are about transience, specifically that of a girl: whether it’s because she’s already in a relationship (“Aside”), or closed-off (“Beautiful,” “Dynamite”) or too foreign to comprehend and conceptualise (“Girls Girls Girls,” “Dream Girl”), the subject of SHINee’s affections is in some way elusive. And coupling that same theme with the same kind of electronica music does not, to put it delicately, make for the most dynamic of listening experiences. As all over the place Lucifer was, at least that album had variety. SM may have gone all out in marketing this album, and it is a decent piece of work, but it is not the most representative of SHINee’s talent and abilities; thus I give it a solid but unexceptional 3.5 out of 5.